The Perfect Group Photo, Coming Soon To An OEM Near You? My family gatherings are full of a few things – strong drinks, devilish pranks, and awkward family photos. Hopefully that will change once Scalado releases their application to an OEM. The app is called “Rewind” and has the ability to make those 5 minute long poses for everyone to smile and open their eyes into a 5 second hassle free situation. Praises. It works like this, photographer records a “burst” of photos and has the ability to look through the burst. You can then go through and individually make sure each person has their eyes open and is smiling thanks to facial recognition. 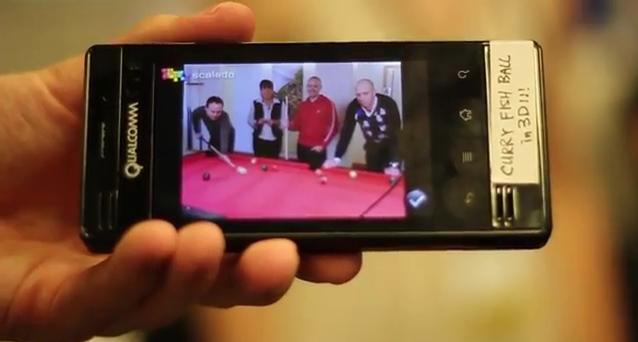 Our friends over and Android And Me got a great hands on video with the application. Check it out after the jump. Doesn’t that look awesome? Well it’s unfortunate that we may never see it in the Android Market due to the strains that it puts on processors, but it’s possible they will team up with a certain carrier that has the powerful lineup to run such an app. If we hear anything more, we’ll let you know. Monday Poll: DROID Bionic with LTE or Galaxy S II without?